The old NC Forest Service fire tower is probably the first tower to have been built up here, and it's the most interesting too. 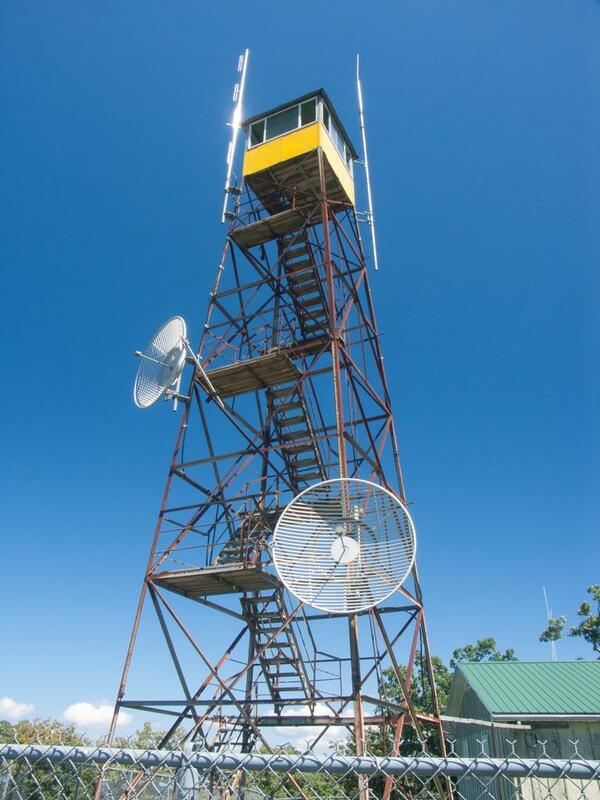 This historic tower was staffed for many years by a watchman who used various equipment to spot and report potential wildfires, and lived in the little house at the bottom. I remember coming up here as a kid, before the chain link fence and "no tresspassing" signs were built around the tower and house. We'd climb the tower and Mr. Curtis - who manned the tower for 35 years starting in 1957 - would invite us in the top to show us the tools he used to do is job, and recount stories of his times at the top. The tower was decommissioned in the mid 90's.